Paradise islands, jaw-dropping landscapes, and affordable luxury, they all sound like the elements for a perfect honeymoon? 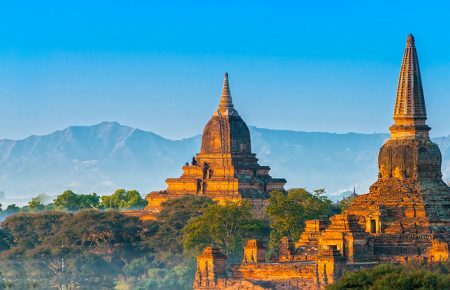 With romantic moments and stunning isolated spots, honeymooners need to look no further than this Southeast Asian country to spend some special time together. 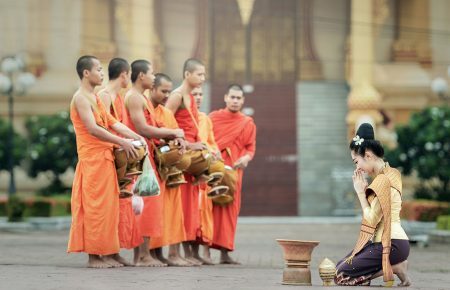 Let’s our suggestion places below become a small push for you to plan a sweet Cambodia trip. Throw into the mix deserted beaches, soft powder white sands, lapping turquoise waters and perfect blue skies and you’re onto a honeymoon winner. 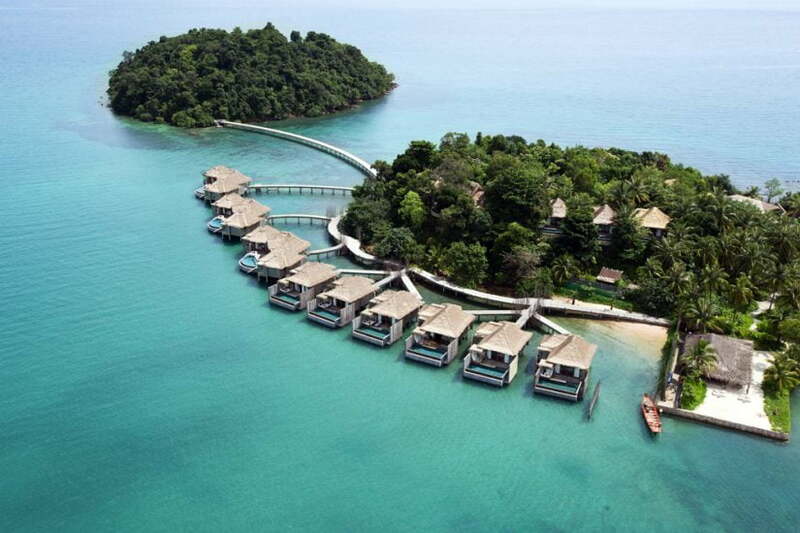 Two names should be on your list are Koh Rong and Song Saa Island. 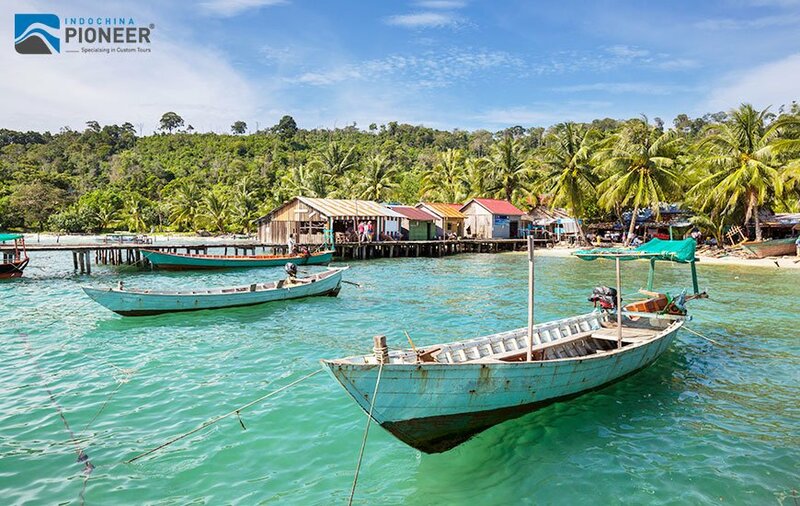 Song Saa is a private and one-resort heaven, which is actually made up of two island gems – Koh Ouen and Koh Bong – in the Koh Rong Archipelago off of Cambodia’s major port and tropical tourism center, Sihanoukville. And Koh Rong is a slice of tropical paradise, where the pristine beach meets blue clear sky, and be absolutely perfect for any Cambodia vacation. 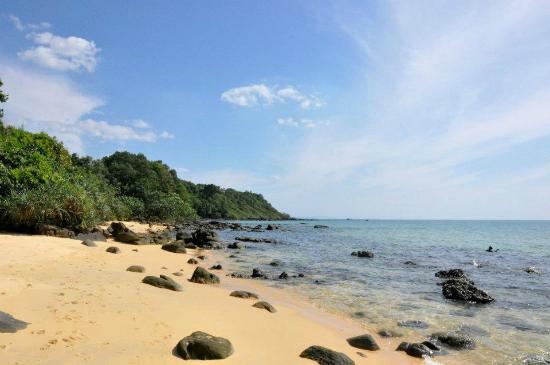 Koh Kong is a destination for those who want to get off the beaten track, where you will be surrounded by wild forests, rare orchids, fragrant frangipani and the tropical flora and fauna. 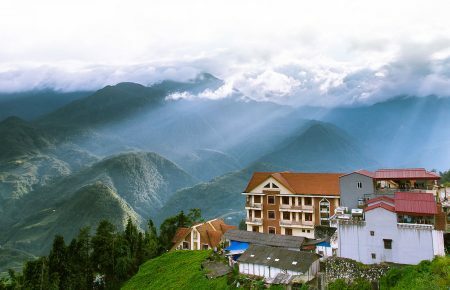 This ideal lovebird nest offers you the opportunity to enjoy the pure peace and lush nature. You can try floating tents overlooking the Cardamom Mountains, the perfect way to cement wedded life. 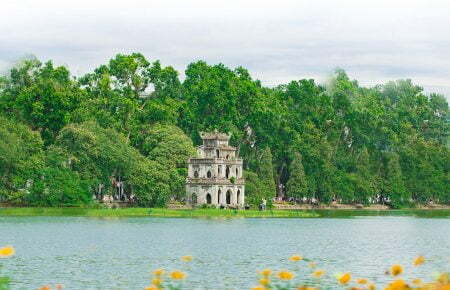 Let’s imagine about strolling through the jungle hand-in-hand discovering crumbling ruins, well, it’s must be the perfect combination of both romantic and adventurous movies. 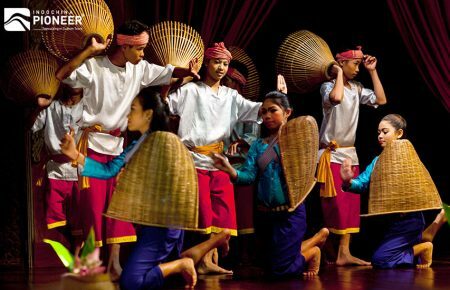 Angor Archaeological Park is definitely the thing you need to create a bunch of unforgettable memories. 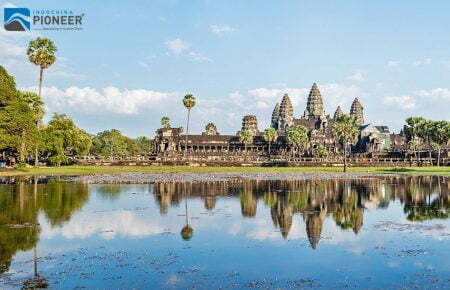 In case you want to avoid the tourist crowds at Angkor complex, you can try the hot air balloon to get a spectacular view from the above. 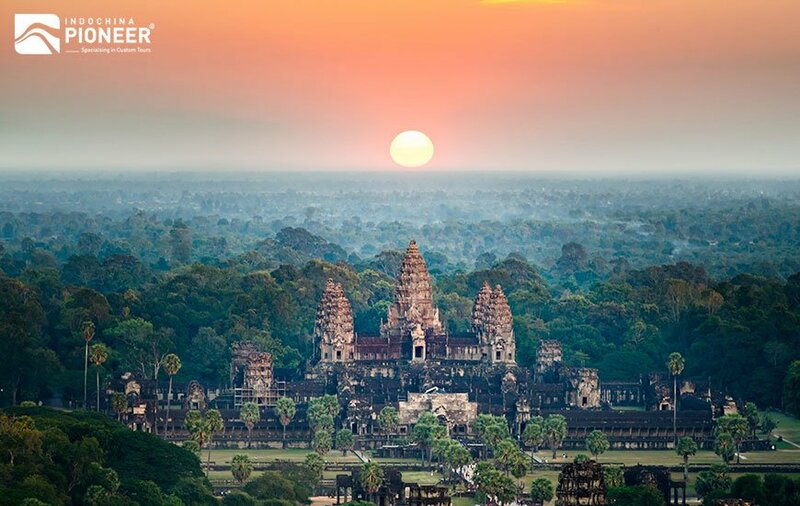 And you know, no one has ever said hot air balloon is not sweet 😉 Siem Reap is also home to many luxury resorts, which are exactly what honeymooners are looking for. When the sun comes down, Pub street and Night market will be perfect for a vibrant couple night. 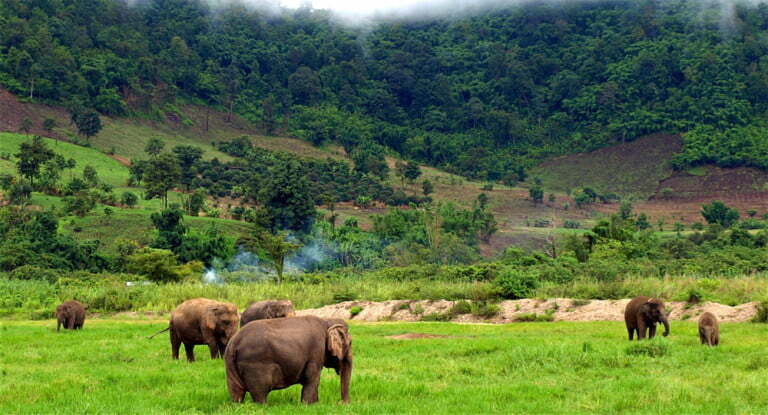 Another destination for ones who’d like to be away from the tourist trail, Mondulkiri, a spectacular mountainous region with wonderful wildlife ready to be explored. 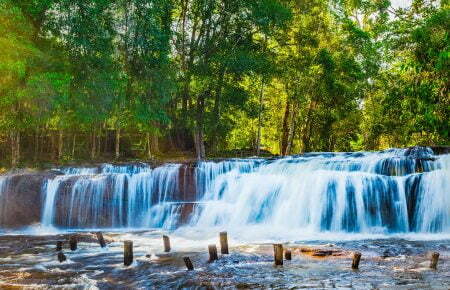 You will fall in love again in Mondulkiri, right at the moment you see the lush rolling hills, mystic jungles, gorgeous waterfalls and lovely valleys. This is home to some of the country’s most rare and endangered wildlife, including leopards, water buffalos, and elephants. 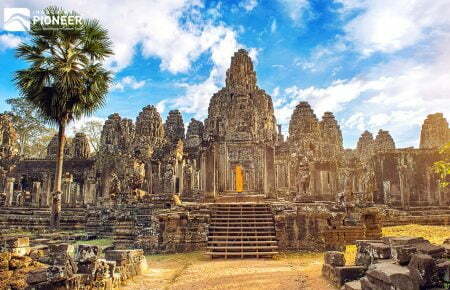 It means your Cambodia holiday will become not only romantic but also full of exciting adventures. What do they often say? “Love is getting on an adventure together”? Right?